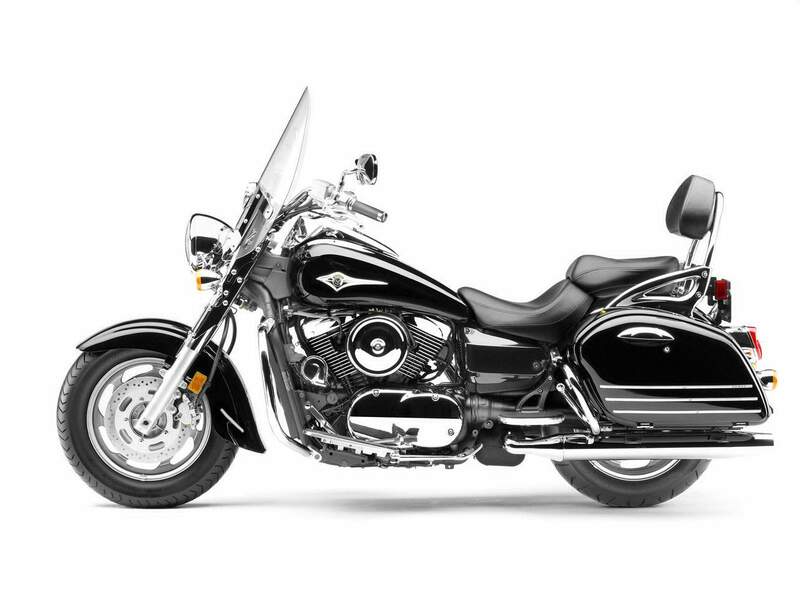 True to its name, Kawasaki’s Vulcan® 1600 Nomad™ is ready to travel and there’s no surprise this ready made touring-cruiser is a popular choice. 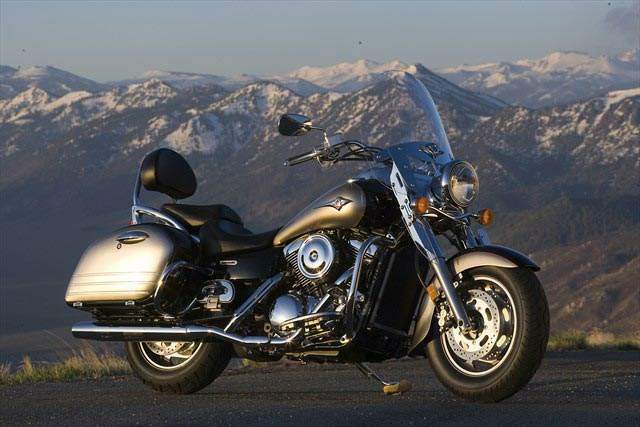 Highlighted by a strong frame and excellent power from a 95-cubic inch V-Twin, the Nomad also has extensive touring features, a stylish appearance, and excellent riding dynamics. Propelling this roaming beauty is a 1,552cc V-twin engine generating plenty of low-end torque and highway power to take its rider anywhere the road leads them. A gear-driven engine counter balancer and well-designed engine mounts reduce handlebar and floorboard vibration, yet these features do not interfere with the engine’s distinctive V-twin rumble or power-pulse feeling from its single-pin crankshaft. Crucial on a laden tourer - as when maneuvering in parking lots - the 1600 Nomad’s steering geometry is designed so that the motorcycle feels more neutral at low speeds, while an air-adjustable rear suspension allows the Nomad to maintain the correct geometry even when loaded with a passenger and luggage. 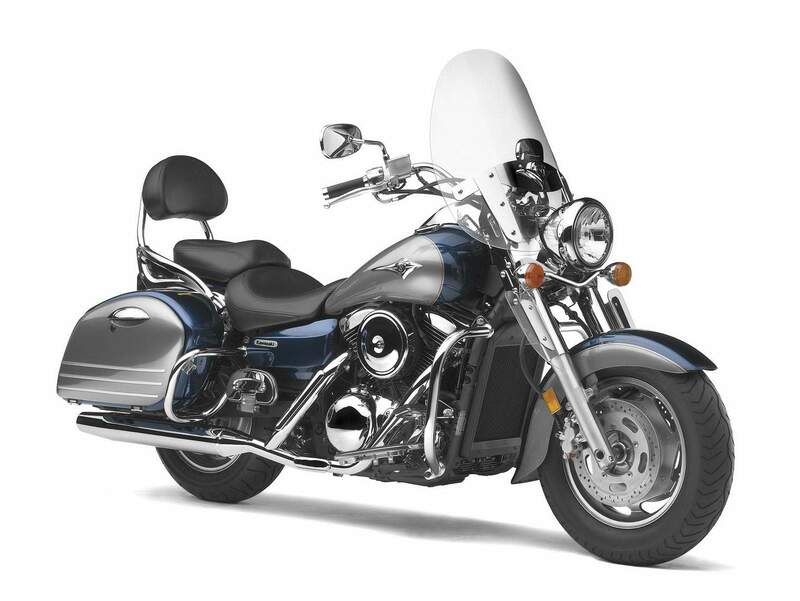 The 1600 Nomad is highlighted by several standard chrome and creature comforts: Chrome engine guards and a thick passenger seat equipped with a backrest and aluminum grab bars. Floorboards for the rider and passenger combine to make long-distance rides more comfortable and pleasurable. 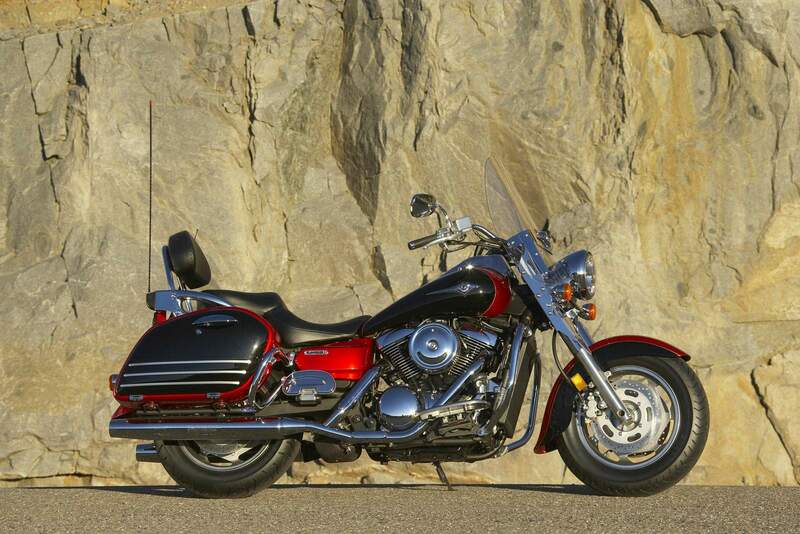 Streamlined and stylish hard saddlebags are standard fare and provide generous storage for those overnight rides. Self-canceling turn signals, a 5.3-gallon fuel tank, topped by an elegant electronic speedometer and LED odometer/tripmeter display let Nomad owners fully enjoy their ride. Other standard features such as an adjustable windshield, plush air-assisted rear suspension and adjustable levers tailor the Nomad to its rider.